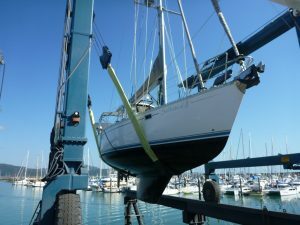 Summary: Using proper maintenance techniques can help your boat stay in solid working condition for several years. Any large investment requires a lot of careful planning and treatment. You would not purchase a car before doing your research on the brand, how the model drives, and how to take care of it. Similarly, if you own a boat, you should be aware of the different ways you can keep your boat healthy and ready to take out on the water at any moment. The open waters can get rough and challenging. 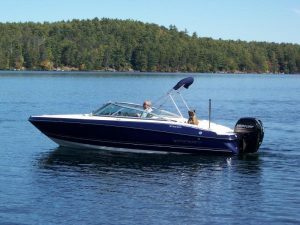 With such a wide variety of dirt, salt, and minerals floating around in the water, regularly cleaning your boat is a must. Scrubbing both the deck and the outer body of the boat at least once a week can prevent the buildup of unwanted materials. The longer these materials stay on your boat, the more likely they will be to chip off some of the paint or stain the frame. There are protective coatings you can invest in to help decrease the likelihood of grime causing costly damages to your boat. The initial process of cleaning your boat could take a good amount of time, especially if you have not done it in a while. Once the boat has been thoroughly cleaned, however, the regular maintenance cleanups will not take as long. You probably never expect anything to go wrong whenever you are out boating but you want to make sure you have the tools to act quickly when something does not go according to plan. Keeping an emergency kit stocked and ready to use will greatly help you. For instance, having bandages and antibiotic ointments could prevent injuries from worsening while you are far from land. Blog submitted by TurtlePac: Finding reliable equipment is one of the most crucial aspects of flying. If you are in the market for an emergency water storage tank or a container to hold precious cargo, check out the wide variety of items Turtle Pac has to offer. Summary: No matter if you use your boat for leisure or for business, there are certain essentials you should always have on deck. There is something special about being out in the water. Heading out on your boat can be relaxing, exciting, and enjoyable. As fun as boating can be, however, you cannot deny how dangerous it can be. When you are out in the water you need to be prepared to handle any situation that comes your way. Since you might not be able to easily turn back and quickly pick something up from the land, it would be wise to pack your boat with the essentials you would need to approach the challenges you might face. Even though you will be surrounded by water when you are boating, you need to keep in mind that the water your boat is sitting in might not be safe to consume. If you plan on using water to drink or cook, you will need to bring clean water on deck before even leaving the dock. Invest in a robust water bladder that can store large volumes of water without getting damaged by the heat of the sun. When you are far from land you might have little to no cell service. It would not be wise to depend on your cellphone to get in touch with those on land or with others who are also out on the water. A standard walkie-talkie is reliable and can usually last many hours without needing to be charged. Even if you do have cell service, it would be smart to have more than one way to reach others if you need information or need assistance out at sea. Blog submitted by TurtlePac: If you are in the market for a new emergency water storage tank or need a sturdy water bladder for your ship, head over to TurtlePac. Summary: Soggy boat cushions aren’t just a hassle to clean, but they can also absorb massive amounts of bacteria that can be detrimental to your health. As a boat owner, one of the most annoying and time-consuming issues to fix is an unexpectedly soggy boat cushion. Fortunately, there are solutions that can solve these problems permanently using waterproof, ventilated substitutes. This article will discuss how you can go about doing so. Selecting the right materials is the most important aspect of switching to custom outdoor cushions. Be sure that you choose a water-resistant material such as closed-cell foam, opposed to open cell (which absorbs water). For the cushions that you are replacing, be sure that you measure each cushion accurately. Otherwise, you’ll either have to return the product or cutting it on your own – both are inconvenient to say the least. After obtaining the measurements for each cushion, plan the frame of the cushion to be at the least 1 inch smaller than cushion each direction. Then, you’ll want to measure and cut out a piece of 3/8 inch exterior plywood that’s measured to that particular size – you can use a carpenters’ square to help assist you with this. Cut four pieces of parting stop stock to form the insides of the frame that will surround the cushions. Nail each strip of parting stop onto the sides of the plywood to create a type of shallow tray – you can use braids to attach the stripe to one another at the corners. Once the frame of the cushion is assembled, now comes the dirty work. Start by drilling four to eight ½ inch ventilation holes in the plywood base – depending on the size of your desired frame. Varnish the entire frame throughout using a high-gloss polyurethane varnish and cover each section of the wood generously to prevent it from delaminating. Following this, varnish all of the exposed surfaces of the parting stop frame as well as the edges and both sides – while paying particular attention to covering the insides of the drilled ventilation holes. Let the frame dry completely, then apply a second generous coat of varnish. Measure and cut your closed-cell foam exactly to size with a sharp utility knife. Remember, the foam needs to be at least 1 inch larger than the plywood frame. Use the foam as a pattern and cut a piece of waterproof fabric or vinyl roughly 7-8 inches longer than the foam all around, so it can be easily folded over the foam toward the middle of the cushion. Also, be sure to leave enough room for the fabric to cover the sides of the frame – you can also add polystyrene insulation for additional comfort and support as well. 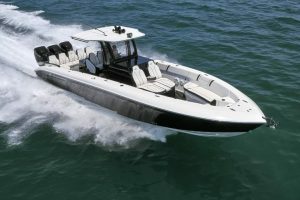 There is nothing quite like getting behind the wheel of a new boat and taking it out for that first foray into the open waters. Before you set out for your inaugural voyage, be sure you pack the necessities: food, relaxation and safety kits. The good news is that most of this equipment is easy to stockpile. A boat cushion with a canvas cover fits below deck and will last for years if you keep it out of the sun. Rope will eventually dry out, but you can cover your anchor with tarp to help block sun damage. Canvas is fairly durable, so it should be useful as a boat cover, seat covers, cushion covers and anything else you might need. The only concern you’ll have is sun damage, so you may need to replace certain covers if they begin to lose their luster. Always have a flotation device on hand at all times, no exceptions. Every child who boards your boat should have a life vest at all times. If your boat’s seating doesn’t float, order custom cushions with open-celled foam. It will prevent water from soaking into the foam, which will help it act as a flotation device for you and your family. A medical kit is also important to have, along with lots of motion sickness medication. Most outdoor and sporting goods stores sell medical supplies as all-in-one kits, but those kits usually don’t include anything for sea sickness. Finally, be sure you are armed with a flare gun if you intend to go beyond a point where you can see land. Even if you don’t go out that far, a flare will help someone locate you if you’re in trouble. If you’re out on the water, fishing is probably one of the best ways to eat. You will eat fresh food full of protein, but eating any one thing day and night can get a little old. Crock pots and small camping stoves will be useful on a voyage depending on the size of the boat. Electric grills are best if possible, but gas is fine in a pinch so long as you control the open flame. Just be mindful of winds. You can also prepare food in advance and use your crock pots or cooking implements to heat it. Chili or chowder is an excellent choice for short trips and overnighters. The Foam Factory, Inc. specializes in manufacturing upholstery foam for Canada and the United States. The Foam Factory offers free shipping for all orders over $75. Homeowners like to focus on the front of their house. Well, can you blame them? Your visitors are going to enter through the front a majority of the time, which is why an eye-catching front yard is crucial for curb appeal. But, if you are one of the many homeowners that are looking for a way to spruce up their patio doors, then this article is perfect for you. If you’re looking to install a brand new patio door, where should you start? One approach that you can take is to decide on the material that you want your patio door to consist of. This can be wood, metal, aluminum, glass-based, or even vinyl. With so many options, you can be quickly overwhelmed witch choices. Get a rough idea of how each type of material looks first, then move on to selecting a proper style. Patio doors differ from the front doors because they are an underrated piece of the whole puzzle. The right patio door will keep your home’s style in a nice, flowing manner and bring a whole new element of style to your interior as well. Take a look online at the various styles, with a budget of course, and narrow your options down. Three of the most common patio doors, not in order, are: wood, aluminum, and steel. Each of them offer a fresh take on style, but differ from each other in many ways. You’re also going to have to worry about the maintenance of each style of door also. Fiberglass or vinyl patio doors have the least amount of maintenance and are inexpensive. Wood patio doors offer a bold and rich look, but are on the higher end of the price charts. 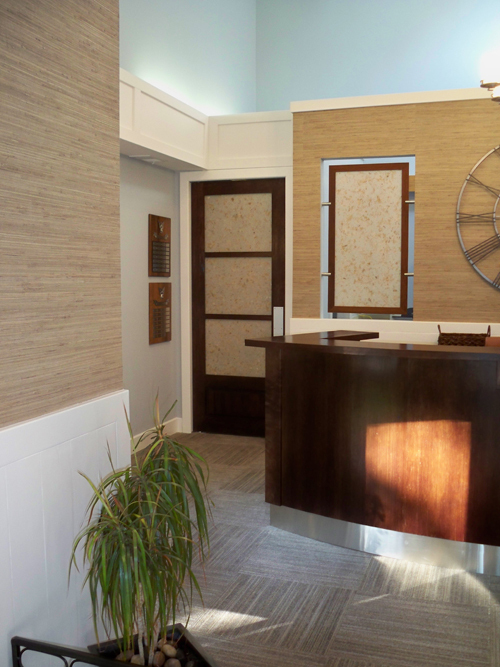 Bio: ETO Doors, a high-end seller of custom doors, wants to make sure you get the perfect door for your house. With products being tested in labs for months, ETO Doors guarantees exceptional performance. With plenty of positive ETO Doors reviews, make sure you browse their vast inventory online. When it’s time to replace your existing interior doors, you’ll have plenty of options. Today’s homeowners have a plethora of interior door styles to choose from, each bringing their own unique look and feel. Determining which type of door is right for you is largely a matter of personal taste along with a knowledge of the spaces on either side of your door. 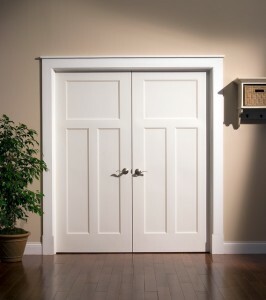 Panel Doors: These are the most common type of interior doors. They have square or rectangular panels that are set into the door. These panels can stand alone or also have glass inserts or decorative finishes such as rounded tops. Modern panel doors can have a single panel or many different panels. 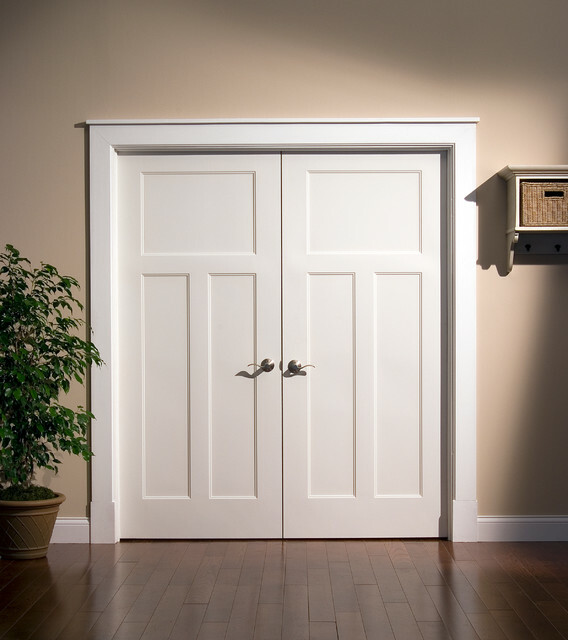 Flush Doors: A door that has a single flat piece of wood on either side is a basic and affordable option for many homeowners. With flush doors, the quality of the material is very important because there are no ornamental designs or panels to catch a person’s eye. Woods with deep finishes and dark grains can make for dramatic flush doors. Bifold Doors: If you are dealing with space considerations, installing bifold doors might be the best option. These doors are hinged and run on tracks. With the doors fold together, they greatly reduce the amount of space used by the door. These are great options for small rooms such as laundry rooms, bathrooms, pantries and even bedrooms in small homes or apartments. ETO Doors has been helping customers find the right interior and exterior doors for their homes and businesses since 2002. More than 100,000 customers have been satisfied and given positive ETO Doors reviews. The marine environment is not the ideal setting when it comes to foam products. Indeed, the humidity, heat and sea water might in time contribute to deteriorating your boat cushions. A sign that your boat cushions are worn out is to look at their appearance and texture. Generally worn out cushions would look saggy and have lost their bounciness. They would not be providing any support to the body and would have thinned out. Apart from being quite unpleasant to look at, worn out cushions are also very uncomfortable to sit on. This discomfort is accrued if you have to spend several days at sea. A solution to this would be to go opt for a replacement of all foams on your boat. Carlo Badalamenti has worked in the foam industry for decades now. A noticeable change that a boat owner can bring to a boat is to go for a complete change of foam and seat cover. The seat cover could be chosen in a water-resistant material such a polyester or if you are seeking to provide a luxurious look, you might even opt for real leather. Good quality faux leather would also be effective in providing a luxurious look. For the marine environment, the ideal choice of foam would be a dryfast foam. These foams consist of larger cells than regular foams. This enables them to drain out water easily. The Foam Factory is a specialist in foam products ideal for various indoors and outdoors foam replacement projects including replacement boat cushions. When it comes to choosing fabrics for the marine environment, there are various factors that need to be considered. This particular type of environment is known to give rise to moisture and dirt along with accelerating the propagation of mildew which deteriorate fabrics further. All fabrics have limitations in one way or another. Before purchasing a marine fabric, it would be important to consider these limitations. For outdoor fabrics, factors such as the retardancy, UV factor, cleanability and antimicrobial properties need to be considered. It is also important to determine whether it will be used close to fresh or salt water. Salt water poses an added challenge to fabric as it is abrasive and can even corrode fabrics. Popular materials for marine environments are vinyls, polypropylene, rayon, synthetic leather or acrylic. Irrelevant of the fabric chosen for particular application, each one would be requiring different types of and specific care and maintenance. Cleaning instructions would need to be carefully followed. For DIY custom cushions projects, the material chosen for the cover would vary depending on your preferences. Nylon has been used for decades in the marine environment. This type of fabric is quite lightweight. Linen also offers good stability and strength. This type of fabric is also quite pleasant on hot days as it does not hold heat. Faux leather is also suitable for the marine environment. Cotton, despite being soft and comfortable is quite prone to mildew and therefore might not be particularly suited for the marine environment. Foam Factory, Inc. specializes in foam products for various applications such as packaging foam Canada and polyurethane foam sheets. After several years of use might undeniably have started to notice that your boat cushions have been inflicted by dirt, mildew or mold. This is because these elements thrive on moisture and the marine environment is the perfect breeding ground for them. Apart from being quite unsightly, these problems also pose a health hazard. If you tend to keep your boat in the water, you might never completely get rid of mold and mildew. However, there are some actions that can be taken to clean out your boat cushions. Carlo Badalamenti has been in the foam industry for several decades now. His company has sold various boat foams. In order to clean your boat cushions, you could first start by removing the cushions for their frame. A spot cleaning can then be carried out with the use of a sponge. After the spot cleaning, it is preferable to let the cushions dry completely to avoid the further formation of mildew. In the case where the cushions are already attacked by mildew, you could clean them by using a mixture of detergent, water and bleach. It is important not to overdose the bleach to prevent any deterioration in your cushions. The cleaning mixture can then be allowed to soak for about thirty minutes. The cushions can then be scrubbed and then rinsed thoroughly to drain out any residual detergent or bleach. Foam Factory, Inc. specializes in foam products such as custom cushions for several outdoors applications. They also have a fast-drying foam that is ideal for boat cushion. After some years of use, you might start to notice that the cushions on your benches and berth have become uncomfortably saggy and sloppy. Your boat might still have some great years ahead of it, its cushions unfortunately have not been able to keep up. Boat foams are sometimes not very resistant to wear and tend to be damaged by stains, dirt, rain or seawater. If you usually spend a long time at sea, having worn-out cushions and mattresses can be frustrating. A solution to this is to change your boat foam. If you like DIY projects, you can choose to replace your cushions yourself. This method is cost-effective and allows you to exercise control over the choice of the foam and fabric used. A good long term solution to improving the support of your cushions is to choose durable and fast-drying foams for your boat interiors. A foam manufacturing company could generally provide you with the possibility to customise the size of the foam to the dimension of your bench or boat mattress. Carlo Badalamenti is the VP of the Foam Factory, which is a foam manufacturing and selling company that has existed since 1980. His company offers a good choice of products to facilitate your projects whether it is for your boat mattress or cushion replacements. Their specially-formulated marine foams have the property of being fast-drying and long-lasting and have the advantage of being anti-bacterial. The staff are easily available in case you have any questions regarding custom sizes and which foam to choose.